Eimear Berry Founder of the Irish Sudden Infant Death Association (ISIDA). 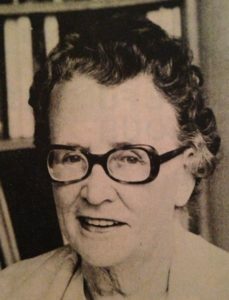 Dr Victoria Coffey was the first President of ISIDA from 1977-1984 and was a leading light in Irish Paediatricians. The ISDA logo was created Shaun Lynch a founding member and former Chairman of the organisation. The daisy type flower with one petal falling represented to Shaun and his wife Liz what the death of their son Richard meant to their family. They had been a happy family and suddenly a petal had fallen. 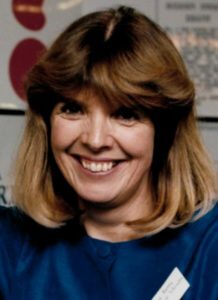 In 1976, following the sudden death of her baby son, Brendan, from Sudden infant death syndrome (Cot Death), Eimear Berry founded the Irish Sudden Infant Death Association (I.S.I.D.A). The inaugural meeting of ISIDA took place on Friday, July 2nd 1976 and was attended by fifteen people. Those attending had responded to a letter Eimear had placed in the newspapers inviting other parents who had experienced “cot death” to come to a meeting in her home with a view of forming an association to support and help parents bereaved by Sudden Infant Death Syndrome (SIDS). From that initial membership of fifteen, ISIDA grew into a national organisation with a membership of 3,500. It established a national office (which operates from the Carmichael Centre, Dublin), set up a 24/7 emergency support helpline, assembled a national register of qualified professional counsellors to provide a range of services to suddenly bereaved families, and established the National Paediatric Mortality Register to promote and support research into SIDS and support the delivery of educational initiatives to help reduce the incidence of SIDS. In 2012, further to demand for support by families bereaved suddenly in circumstances other than SIDS, the organisation changed its name to FirstLight and expanded its remit to provide support to families suddenly bereaved of a child up to 18 years. Thousands of families have been supported by ISIDA/FirstLight and 43 years on, we remain the only organisation providing such professional services to suddenly bereaved families, either within or outside of the State’s services. Fionnuala is FirstLight’s first CEO and joined the organisation in August, 2017.
the Public Service (Funding Manager for the newly created Telecom Eireann and its capital investment company, Irish Telecommunications Investments Limited), the commercial sector (Group Treasurer of GPA Limited and its joint venture companies and Board member of RTE and 2rn), higher education (Deputy Registrar/Director of Student Services, University of Limerick), and the not for profit sector (Chief Executive of MEAS Limited/drinkaware.ie and Company Secretary of Extern Ireland). Fionnuala has led many innovative, complex and change management initiatives in a variety of settings and led the development and delivery of the impactful and award-winning social marketing and communications programme delivered via the drinkaware.ie brand. Fionnuala is a member of the Institute of Directors and completed the Institute’s Certificate and Diploma in Company Direction. She holds B.A. and M.A. Degrees, both at first class level, and a Diploma in Applied Finance. 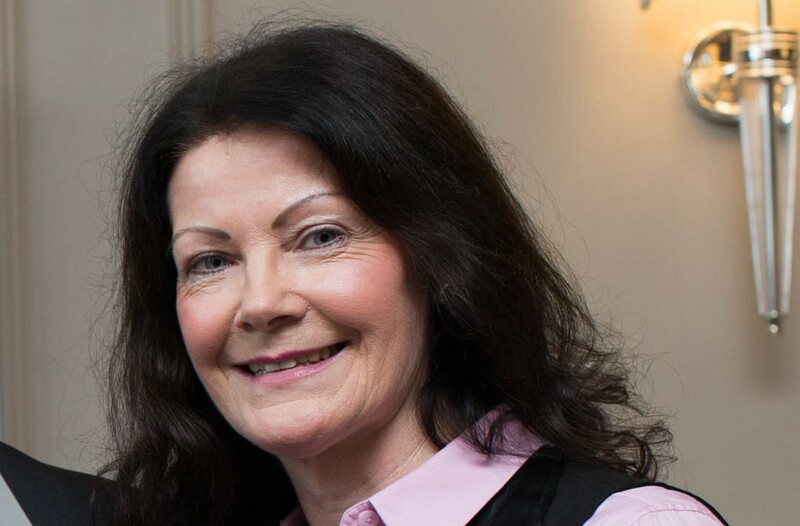 Margaret McGoldrick is a psychotherapist and grief specialist.Prior to FirstLight Margaret worked for some twenty-five years within the corporate sector for PricewaterhouseCoopers and UCD Michael Smurfit Graduate Business School. Having proved her credentials within the corporate arena, Margaret decided to embark upon a new journey and to focus her career in the charity sector. Margaret completed a BA Hons (First Class level) in Counselling and Psychotherapy, and now works with FirstLight supporting parents, families and professionals through the agonising journey of the death of a child. She delivers a training programme “Dealing with the sudden unexpected loss of a child” for front-line health professionals and first responders throughout the country and facilitates multidisciplinary debrief sessions within the hospital setting following the sudden unexpected loss of a child. Previously, Margaret has worked with Stop Suicide in the Northwest supporting individuals who are in suicidal distress or engaging in self harm. seventeen-year career spans media (Sunday Tribune, Village Magazine and Tara Publishing), Public Relations (National Association of General Practitioners, Irish Society of Gastroenterology, Age-Friendly Ireland, Mental Health Organisation GROW) and the Civil Service (Competition and Consumer Protection Commission). He has extensive experience in business development, stakeholder engagement, media relations and marketing. He is currently completing a Masters with University College Cork in Government and Public Policy, where his thesis is a study on interest groups and the evolution of the Irish Sudden Infant Death Association and its role in the establishment of the National Paediatric Mortality Register. 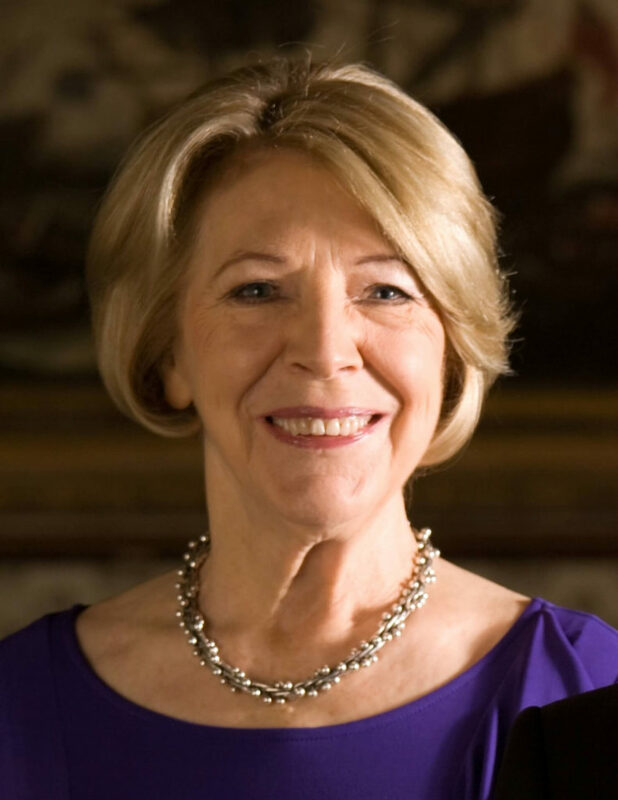 Sabina Higgins is the wife of President of Ireland, Michael D. Higgins, who was inaugurated President on the 11th November 2011 for a seven-year term. At 18 years of age, Sabina moved to Dublin to work in the office of the Land Commission. 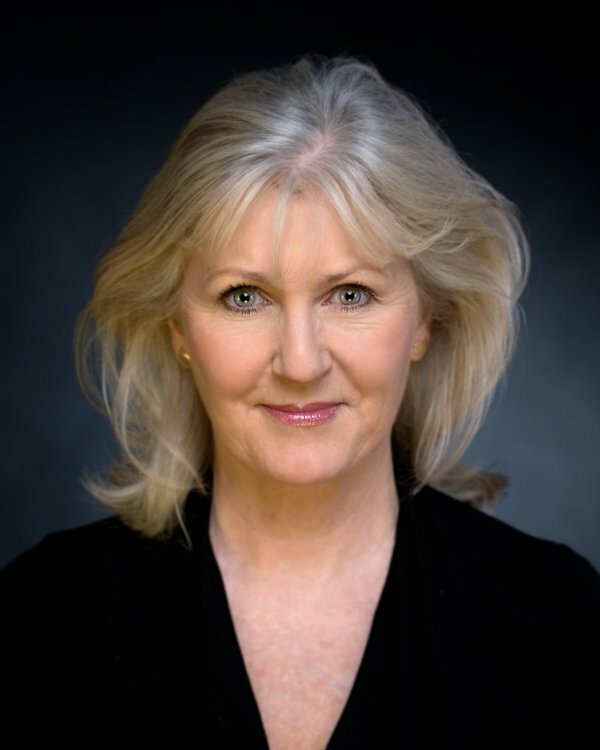 She began to study acting using the Stanislavsky method after Deirdre O Connell’s wedding to singer Luke Kelly (The Dubliners) and became, with Deirdre, one of the founding members of the Focus Theatre where she worked with Tom Hickey, Timmy McDonald, Mary Elizabeth Burke Kennedy, Joan Bergin, and many others. Sabina met Michael D. Higgins at a party in Dublin and in 1974 they were married in Dublin’s Haddington Road Church. Sabina moved to Galway, where in addition to working as a partner with Michael D. in every campaign and in public life for over thirty years, she maintained her involvement with Theatre and community arts, working with the world renowned Druid Theatre, An Taibhearc and other groups. Úna Crawford O’Brien is an Irish actor, best known for her role as Renee Phelan in the long-running soap opera, Fair City which has been broadcasting since 1997. Additionally, she has done a lot of stage work, including Menopause the Musical and Grumpy Old Women. She was previously married to Brian O’Brien, and they have two sons, Tim, 27, and Fionn, 20. They also had a baby daughter Sorcha, who sadly passed away at 17 weeks, in a cot death. After the death of her daughter Sorcha, Úna became involved with FirstLight. Úna is married to Irish actor, Bryan Murphy and supports FirstLight as an Ambassador in many ways, specifically around FirstLight’s Mile in Memory Walks. Board Members and the Chairman are volunteers and donate their time without payment. FirstLight is committed to complying with and implementing The Governance Code for Community, Voluntary and Charitable Organisations of Ireland and is working towards these standards. Fiona is currently Chief Operations Officer of Organ Donation Transplant Ireland,which under EU Directive is the national competent authority for organ donation. She has over 13 years healthcare experience in leadership, management and governance across the public and private sector, including a period of global operations management with international pharmaceutical company Novartis.Notably, in 2011 Fiona led the establishment of the National Office of Clinical Audit (NOCA) which was brought to life through collaboration of the Royal College of Surgeons in Ireland and the HSE. Through her Executive Management role in NOCA Fiona managed the concept build, development and implementation of several national audits over multiple specialties, including Orthopaedics, Intensive Care and Trauma.In 2005, having been part of the first administrative team recruited to set up Vhi SwiftCare Clinics in Ireland, Fiona went on to grow her career in health management and take the Group Head of Operations position. She was responsible for the national rollout of clinics from fit-out to team recruitment and induction and day to day management of the group. Core to her role was the introduction of clinical governance and the achievement of accreditation for Vhi SwiftCare Clinics.Fiona attained an MSc in Healthcare Management in 2011 and is currently undertaking a part-time MSc Healthcare in Ethics and Law with RCSI. Alongside her career in healthcare and study, Fiona continues to manage mothering her now adult son and daughter.Fiona joined the board of FirstLight in 2018 and serves as Chairperson. Oliver joined the Board of FirstLight in 2013 as the Secretary of the organisation. He qualified with a Bachelor of Electrical Engineering (BE) in 1998 from UCC and also holds a Master of Business Studies (MBS) from CIT. He has worked in various technical, project, managerial and director level roles in the telecoms and IT sector. With work, he has travelled extensively to many developing countries including Somalia, Sierra Leone, Congo, Sri Lanka and Iraq. He has also rolled out mobile phone networks in Paraguay and the Federated States of Micronesia, and has been involved in the testing and development of innovative and cutting edge VoIP telephony solutions. In his spare time, Oliver enjoys music and hill-walking and participates on the Board of Management as Treasurer of Togher Boys National School in Cork. Oliver joined the Board of FirstLight in 2013. Deirdre is a Registered General Nurse and currently works in St James’s Hospital Dublin. She trained in St James’s hospital in 1993. Following general medical and surgical experience, Deirdre completed a Post Graduate Diploma in Oncological Nursing, and has experience in an acute Oncology inpatient area as a Clinical Nurse Manager. In 2002 Deirdre moved into the area of clinical trials and worked as an Oncology Research Nurse until the birth of her third child. She spent the next few years at home with the family. She returned to work in 2012 and currently works in the National Coagulation Centre in St James’s Hospital. Following the sudden death of her daughter Clodagh in 2013, Deirdre and her family found support from FirstLight. In 2015, Deirdre joined the Board of FirstLight. She is a member of the Finance Committee and serves as Treasurer. Deirdre lives in County Dublin with her husband and three children. When not working or ferrying the family around, Deirdre enjoys walking and reading. Adrian is a Station Officer with Dublin Fire Brigade and Ambulance Service. He has 23 years of experience working as a Firefighter, Paramedic and Officer. Adrian is a qualified Psychotherapist and has been the Director of the Critical Incident Stress Management Team in Dublin Fire Brigade since 2006, providing crisis intervention, individual and group support, and counselling to members of the Brigade and the public. He holds an MSc in Bereavement Studies and has trained as a Complicated Grief Therapist with the Irish Hospice Foundation. He is a tutor in Paramedic Studies and in Individual and Group Crisis Intervention (Defusing and Debriefing) with the International Critical Incident Stress Foundation (ICIFS), and has provided psychological support in the aftermath of the most tragic incidents across the country. 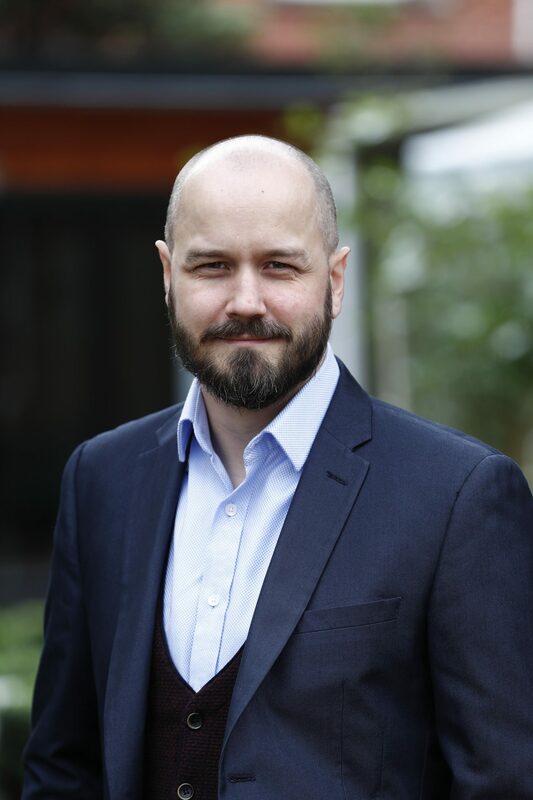 Adrian is a Steering Committee member of Critical Incident Stress Management Network Ireland, and is an Eye Movement De-Sensitisation and Reprocessing (EMDR) Therapist, a recognised therapy for complex trauma. He is currently stationed in Tallaght Fire Station. 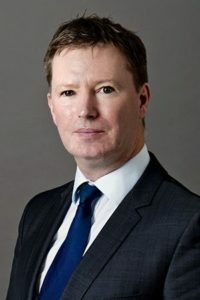 Adrian joined the Board of FirstLight in 2018. David is a Senior Partner at Korn Ferry, a world leading Advisory and Human Capital organisation. Korn Ferry is the largest provider of Executive Search services globally. David has extensive experience in advising clients recruiting senior executives into Life Sciences, Professional Services, Industrial and Consumer organisations. He has partnered with both public and private equity backed companies locally and internationally on C-level, EVP, SVP and Director level assignments, bringing exceptional talent to his clients. Prior to joining Korn Ferry, David worked for over 7 years as Managing Partner at Accreate, a boutique Search firm which, under his stewardship, doubled in size every 2 years. His earlier career saw him lead and manage a division of a global Recruitment Consultancy firm for 9 years. 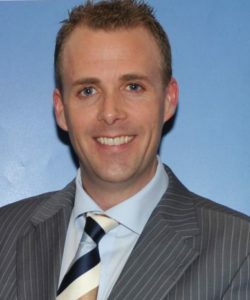 David previously held senior management roles at Apple Computer in Ireland and Johnson & Johnson in Australia. He is currently based in Dublin. Coupled with his professional career, David owns and runs a Dairy farm in Cork. David is a graduate of Trinity College Dublin having attained a B.Sc. (Honours) in Management Sciences. He holds a Diploma in Marketing from the Dublin Institute of Technology as well as a Certificate in Agriculture. He joined the Board of FirstLight in 2017 and is a member of the Fundraising Committee. Charles was born in Cork and moved to Dublin in 1979. He worked in radio production, media and sales before setting up a nightclub/tourism business in The Synod Hall, Christchurch. Charles joined the management team of Mosney Holiday Centre as part of its rebrand in 1988. As Marketing and Development Manager, he oversaw the financial turnaround and customer development of the popular County Meath family resort until its emergence in 2000 as a direct provision centre. Charles has also worked with the Arts/Circus community to successfully lobby the government to amend the 2003 Arts Bill to recognise circus as a pillar art form, and has provided marketing and PR services to the Irish National Circus, Fossett’s, since 2004. Charles moved to Portugal in 2003 and spent 3 years working in tourism projects on the Algarve. He continues to work with a number of Portuguese based leisure venues while based in Dublin. He joined the Board of FirstLight in 2017 and is the chair of its Fundraising Committee. 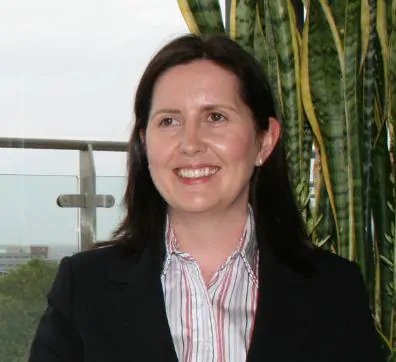 Ciara is a partner in Deloitte Ireland’s Actuarial, Reward & Analytics practice. She leads the life and pensions sector propositions and has more than 20 years of experience across the direct, reinsurance and consulting sectors. She provides advisory support to numerous clients within the Irish market. Such advisory support has included support on regulatory changes such as Solvency II (including capital optimisation) and more recently PRIIPs, along with considering the operational changes required as a consequence of such regulation. It has also included AFH independent peer reviews; market consistent embedded value and IFRS reserve reviews; stochastic models; Section 13 transfers of business; target operating model reviews; and risk governance appropriateness from appetite through to framework and culture embedding. Deloitte’s actuarial practice is one of the largest in the Irish market with c.25 people with skills across life, non-life and pensions. FirstLight complies with the Statement for Guiding Principles for Fundraising and formally discussed and adopted the Statement at a Board Meeting.